Rule #1 – Avoid triptans. Triptans became game changers in the management of migraine when sumatriptan (Imitrex) became available in 1991. Many patients who experienced migraines prior to the sumatriptan era have recounted to me the misery they faced routinely in not having an effective tool to abort migraines without extreme sedation as a side effect of the medications that they were taking. Over time, other triptans were developed – rizatriptan (Maxalt), frovatriptan (Frova), eletriptan (Relpax), and then the injectable triptans, such as injectable sumatriptan. While triptans do not benefit all migraine patients (are migraines ever truly alike between different individuals, or is migraine the final common manifestation of many varying pathways? ), millions of people have found relief with this class of medication and have been able to lead more productive lives. Instead of depending on a very sedating medication and spending the rest of the day sleeping, medication can be taken at work, and the headache, if it responds well, might vanish within an hour or two while the day marches on. The problem is – most stroke patients should not use triptans! Triptans can result in constriction of arteries within the brain and, depending on the mechanism of the patient’s stroke, could potentially further raise the risk for a repeat stroke. At times we have to get extremely creative in the management of migraine symptoms when triptans are a no go. Rule #2 – Stroke patients with pain must sleep at night! Have you ever wondered why people feel tired at night and awake during the day (largely)? Our brains are wired for us to sleep at night. When light vanishes from the environment, a hormone called melantonin is produced by the pineal gland in the brain, which helps to regulate the circadian rhythms involved in our sleep cycles. When light returns, melatonin production decreases. Adequate, restful sleep is a critical part of pain management in all patients, but in particular in the stroke population. If a patient is not sleeping and has refractory migraines, my first goal is to get the sleep issue under better control. It makes no sense to load a patient on medications for pain if helping him/her to sleep better will produce 70% of the improvement desired. Following brain injury, stroke patients can have difficulty regulating circadian rhythms and may need assistance. Caffeine elimination, avoiding excessive fluid intake before bed, a regular bedtime routine, going to sleep at a time that will allow for 7-8 hours of sleep during dark hours (not 1AM until 9AM if light will enter the environment once again at 6AM) – all of these are important considerations. Working night shifts makes treating pain nearly impossible in the stroke population, and I often encourage those who work overnight to inquire about switching to a shift that takes place during daylight hours. If these changes do not work to yield a full night of restful sleep reliably, sleep medication aids may be utilized. They all have the potential for side effects, so sleep aid medication should be individualized based on each patient’s history and symptoms. If a stroke patient cannot sleep because of extreme anxiety, for example, then a benzodiazepine (medication that can be used for sleep and for anxiety) might be chosen. If a stroke patient does not sleep well and has refractory pain, the pain will never be controlled until the sleep issue is addressed. Rule #3 – Be aggressive about treating anxiety. Anxiety is common following a stroke, especially in the younger stroke population. Younger patients are not expecting a stroke to become a part of their lives, and this event can prove very distressing. If the underlying cause of the stroke is not identified, the anxiety over wondering if another stroke will occur can be disabling. Additionally, after a brain injury, surges of stress hormones (cortisol, epinephrine, norepinephrine) may occur, which can result in panic attacks in patients with no prior psychiatric history. I am usually fairly aggressive about managing anxiety early so that it does not escalate. If the anxiety is severe enough, then I will ask for assistance from psychiatry in managing the patient. I have encountered resistance from patients who feel they will be labeled in a negative way by seeking care from a psychiatrist, but this is a stigma that needs to end. Anxiety is a serious problem with many consequences for the patient and his/her family if left untreated. Counseling may also be recommended in some cases. Patients with chronic pain and anxiety following stroke stand a better chance of improving pain when anxiety is under control. Rule #4 – Maintain a lower threshold for starting daily preventative medication. Many migraine patients who are easily able to abort migraines with the use of a triptan do not end up requiring a daily medication intended to decrease the frequency and severity of migraines, known as preventative therapy. However, when many of the effective medications intended to stop migraines are unable to be utilized, the strategy may switch to using daily medication to reduce the number of migraine attacks, or to lessen the severity of the migraines that do occur. Anti-seizure medications, such as topiramate (Topamax), can be helpful, as can some antidepressants. A patient with pain and anxiety may benefit from an antidepressant, depending on the patient’s history and other symptoms. If multiple oral medications are tried and are ineffective, greater occipital nerve blocks and/or trigger point injections may also be useful, but are frequently painful as they involve multiple injections of local anesthetic in the scalp, neck, and trapezius to alleviate pain. Botulinum toxin (Botox, Dysport) has been very effective for some patients with refractory migraine, but does not work for everyone. This also involves multiple injections, and usually has to be repeated every three months for efficacy. Rule #5 – Lifestyle changes should be emphasized. Exercise, biofeedback, yoga, tai chi – I have seen all of these hugely impact pain management. There are also pain rehabilitation programs involving daily physical therapy and sessions with rehabilitation psychologists available that can be effective. Rule #6 – Treat obstructive sleep apnea! Obstructive sleep apnea has been associated with an increased risk for stroke, myocardial infarction (heart attack), high blood pressure, and not only that, but patients with untreated sleep apnea often experience frequent headaches. If a patient is waking up with headaches in the morning and the bed partner (spouse, significant other, etc.) claims that he/she snores, then a polysomnogram (sleep study) is worth the time and effort. I have lost count of the number of patients who have relayed to me that once they started treating their sleep apnea, usually with CPAP (continuous positive airway pressure, or air that blows through a mask at night to keep the airway open and improve oxygen intake while sleeping), their morning headaches improved and they had more energy during the day. Rule #7 – Set realistic goals. Managing pain after stroke is extremely daunting in some cases for neurologists. We have tools that we can use, but the chance of turning refractory pain into a pain-free existence is a rare occurrence. I discuss goals with patients, and will often ask: “Will you be happy if you can get 50% relief from what you are currently experiencing?” Most patients will say yes, anything is better than what is happening right now. Rule #8 – Be patient. The physician treating pain as well as the patient must both remain – well, patient, for lack of a better word. If something does not work, try something else. If that does not work, try something else. Medication is not the be all and end all for every patient, and other patients require multiple medications to achieve a level of functionality. The goal is not to give up, though, and to remain hopeful. When the patient loses hope, the physician must not. Pain management is a collaboration, and there must be dedication on both side to achieving a desirable outcome. Rule #9 – Believe the stroke patient who claims to be in pain. Pain is a subjective experience, and it differs from person to person. 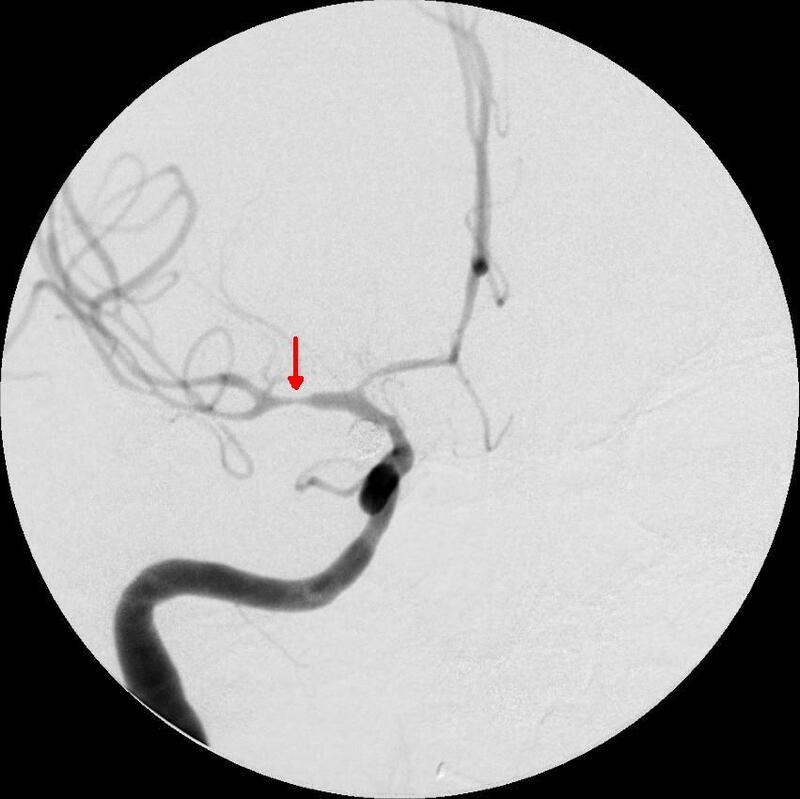 My sympathy for the vascular dissection and thalamic stroke patient populations is great because the pain can be so unrelenting. However, because many of these patients look so normal externally, they are not believed when they describe the severity of their pain. My pain during routine dental visits and procedures is unreal at times, and I have stopped trying to explain to others how much suffering I endure in that situation because no one around me really believes it. Perhaps I am just not tough enough. Perhaps my “pain threshold” is low. Whatever. The pain, as I experience it, is real and it is awful. However, my dentist is a kind, empathetic person who believes me, and a little empathy goes a long way. I have to believe that patients who experience pain on a daily basis that nears or exceeds the severity of the pain I endure in the dental office might feel a little more hopeful if the physician who is supposed to be treating them believes that their pain is real. If a random sample of our population was challenged with describing a typical stroke survivor, what words would be used to construct such an image? I have actually asked this question of those around me in non-medical environments, curious as to what most people consider to be typical. “Paralyzed” is a common perception. “Slurred speech,” “unable to talk,” “can’t walk,” and “can’t move” are others. What I don’t often hear, though, is “refractory pain.” Strokes have been described as clinically silent, with the general perception being that a heart attack is painful, but a brain attack is not. The reality is – every patient is different, and every stroke is different. Strokes can be painless, or they can be excrutiating, unrelenting, and painful beyond anything imaginable. To start the discussion, it is important to understand the relationship that exists between migraine and stroke. So what is a migraine? This is another question I have posed to random individuals in non-medical settings, and I often ask patients who are experiencing headaches in the clinic what their idea of a migraine is. Often, the explanation involves the notion that a migraine is severe – a headache so intense that the person suffering with it must go to bed in a dark room devoid of sound and light. Isn’t that interesting? A migraine that does not involve a headache is a strange concept to many. Some people have aura, an associated neurological symptom due to this “overly excited state,” such as seeing flashing lights, zigzag lines, or a smudge in the vision that grows into a large crescent of to engulf all visual fields, a phenomenon known as a scotoma. Some migraine sufferers experience sensory aura, which involves numbness and/or tingling over the face, arm, and/or leg. Aphasic aura is an interesting migraine feature that is less common than visual aura or sensory aura, and very much can mimic a stroke at presentation. This involves the inability to speak clearly or potentially impaired understanding of language. Migraine aura typically (but not always) resolves within an hour without medication, even if the associated headache lasts for hours or days. Other associated migraine symptoms include vertigo, tinnitus (ringing in the ears), nausea, confusion, and even fainting. Migraine has long been established as a risk factor for stroke, particularly in young patients. The Collaborative Group for the Study of Stroke in Women published in 1975 that patients with migraine carried double the risk of stroke as patients without migraines. More recent data confirmed this risk. A French study found that there was no increased risk of stroke in elderly patients with migraines, while multiple studies have demonstrated an increased risk of stroke in the young migraine sufferer. Having migraine with aura carries an even higher relative risk of stroke than what is seen in patients with migraine who do not experience aura. Consider this as well (I never miss an opportunity to preach about the dangers of cigarette smoking) – patients with migraine may carry twice the risk of stroke as patients without migraine, but patients with migraine who smoke cigarettes are ten times more likely to experience a stroke. Patients with migraine who smoke cigarettes and who use estrogen-containing birth control pills in one study were 34 times more likely to experience a stroke. I would encourage any migraine sufferer reading this who also uses birth control pills and who smokes to consider laying down the cigarettes and spending that money in other ways. Why does having migraines increase one’s risk for stroke? Many theories exist, but the jury is still out on exactly why. It may be because the innermost lining of the arteries, called the endothelium, may differ from that which exists in the non-migraine population. It could have something to do with platelets (fragmented blood cells that assist in halting bleeding) functioning differently in migraineurs. Migraineurs are more susceptible to vasoconstriction, or spasming/squeezing in the arteries of the brain. The term for a stroke that occurs in the midst of a migraine episode is migrainous infarction. Migraines can pose challenges to health care providers attempting to treat them in the young stroke population. Therapy for migraine is best broken down into two arms – abortive therapy, which is used as needed when migraines occur in order to gain relief, and preventative therapy, which is taken daily whether a migraine exists or not in an effort to decrease the frequency and severity of migraine episodes. Please check back for the upcoming post, covering the ground rules of treating migraine in the stroke patient.